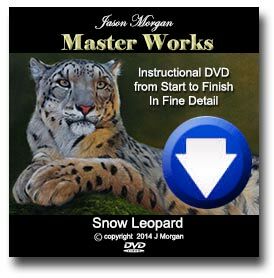 Just put the finishing touches to my latest Leopard study. For this painting I really wanted to emphasize the dramatic back lighting, so I created a nice dark rich background and really upped the lighting. Hope you think I managed to achieve the effect. 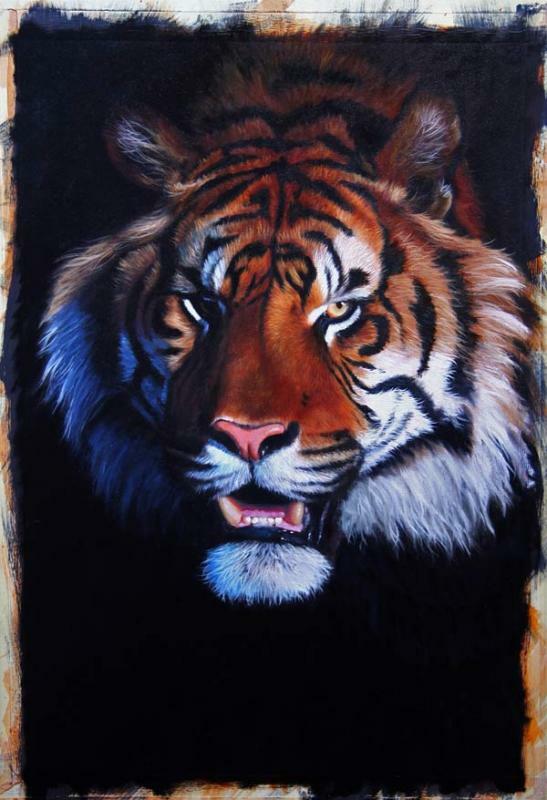 With the underpainting now fully completed I can now begin to refine the tiger a little – bear in mind that this is still very much an underpainting and the real details haven’t been painted yet in any area. Well with the acrylic underpainting, complete and dry I am now gradually going over the underpainting with the 1st coat of oils. 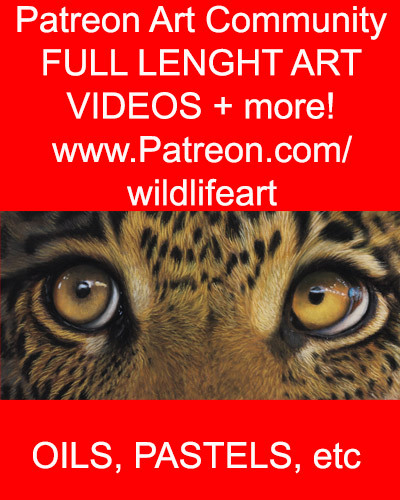 Here you can see that I have applied oil paints to the eye areas and also the blue side of the fur. Another benefit of a quick acrylic underpainting is that you require less layers of the oil to give a nice opaque colour.